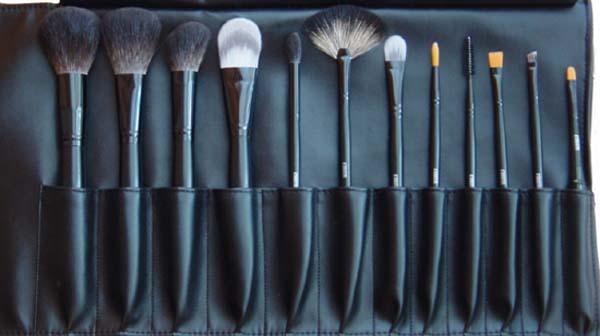 All 9 Makeup Brushes are individually wrapped for added protection and comes in a faux Black Leather Bag. 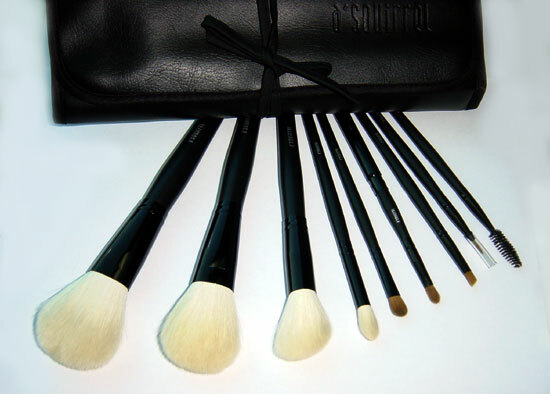 All Pure Fine White Goat and Kolinsky Sable Makeup Brush Set Buy 2 Get 1 FREE! All fine white goat (a.k.a. Squirrel Substitute) and Kolinsky Sable brushes are the crème de la crème. This set contains the best of the best! The set comes with 4 x Fine White Goat Hair (Squirrel Substitute) brushes, which are the BEST Goat Hair you can ever buy! Plus, 3 x Kolinsky Sable (BEST Sable EVER ! )and 2 Nylon brushes. What more can you ask for?! Availability: Usually ships within the next business day. Flat-fee Shipping is only $10! Other Makeup Brush Sets .. Pure Squirrel / Nylon Brush Set (12-pc) New! Squirrel Travel Brush Set New! Makeup Brush Roll Up Bag Set NEW! READ WHAT OUR CUSTOMERS REALLY SAY ABOUT THESE PRODUCTS NEW!